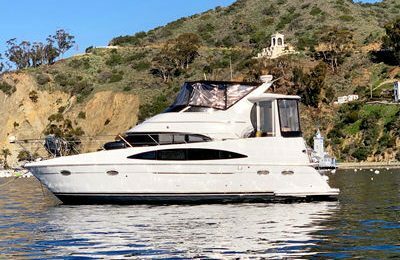 A top notch yacht from Italian luxurious yacht builder Ferretti, plus Catalina island,a dreaming island destination off shore, this private yacht charter trip is going to be awesome. The yacht is your entertainment console while you enjoy catalina island, you can do everything you want to enjoy the crystal clear catalina water, then have hot shower at the boat, relax yourself, or you may want find a private beach to get away from the crowded world, this is your personalized trip, just do whatever you want. Extend stay till 11:00 am next day in the island is also available upon book with extra cost of $1,000. 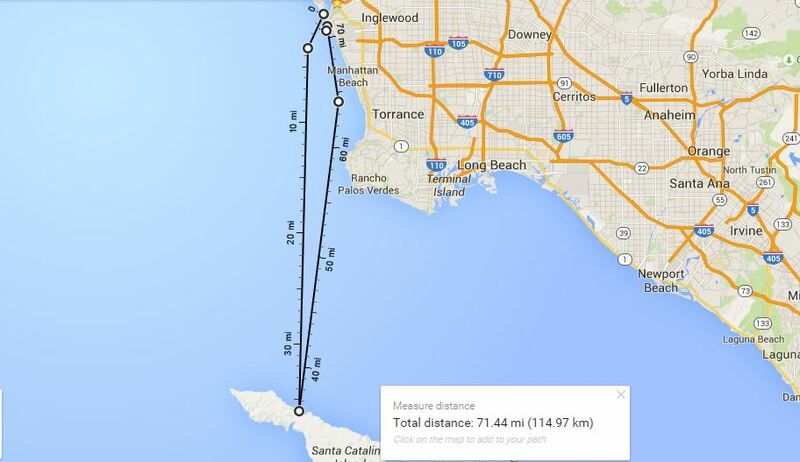 Travel time from Marina del rey to 2 harbor is around 2 hours each, to Avalon is around 2.5 hours each way. The yacht is 2007 model, has been well maintained and cared,you will feel like new, comes with 3 bed rooms and 3 restrooms,luxurious upholstery throughout. Extended tours available. Food and drinks bring your own or arrange to pay extra. 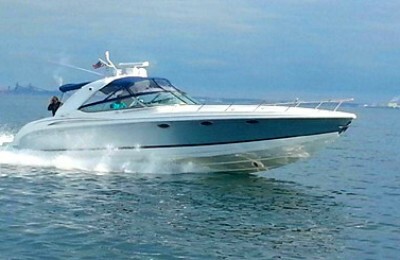 A 62′ Luxurious Ferretti motor yacht in great cosmetic/mechanical condition. 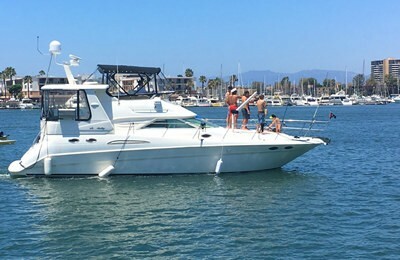 Beautiful Los Angeles coastal line, crystal clear blue ocean water while underway, famous snorkeling spot “Indian rock ” at catalina island, charming and peaceful village 2 harbors at Catalina island, Famous harbor Avalon at Catalina island.